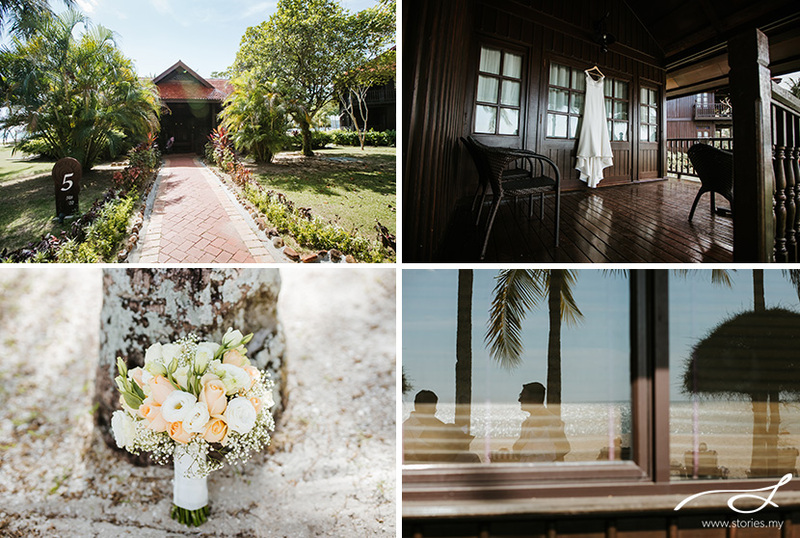 Amy is from the UK and Tom is from Australia, but they chose Langkawi as the destination for their wedding because it is a great half way destination for all their guests. Plus, they love the sand, beach and sun! They have a cute 1 year old baby, Imogen who we totally adore! 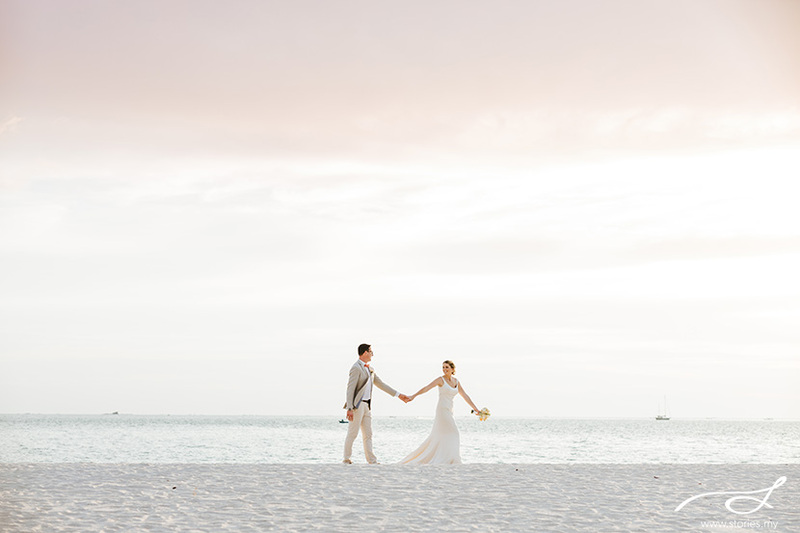 Their ceremony was held at the Meritus Pelangi Beach Resort & Spa, Langkawi. We were blown away at the lovely semi-circle chair set up that the venue did for them. The day was beautiful and we had a gorgeous sunset that evening to end the ceremony and set the tone for the dinner reception. Congratulations to the both of you, and thank you for choosing Stories! Jeremy and Melissa’s wedding had all the elements that made it special for us as a team. 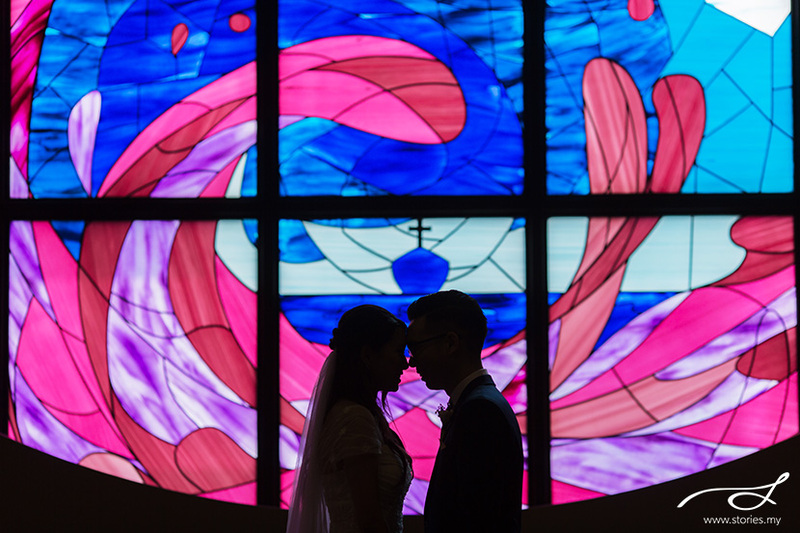 It included a cool couple who really cared about us as individuals (not just as vendors), lots of interesting moments like when Jeremy took out his wedding vow ‘scroll’, Melissa’s vows that was sung emotionally, and a rather unconventional dinner reception with friends at an industrial area in USJ. 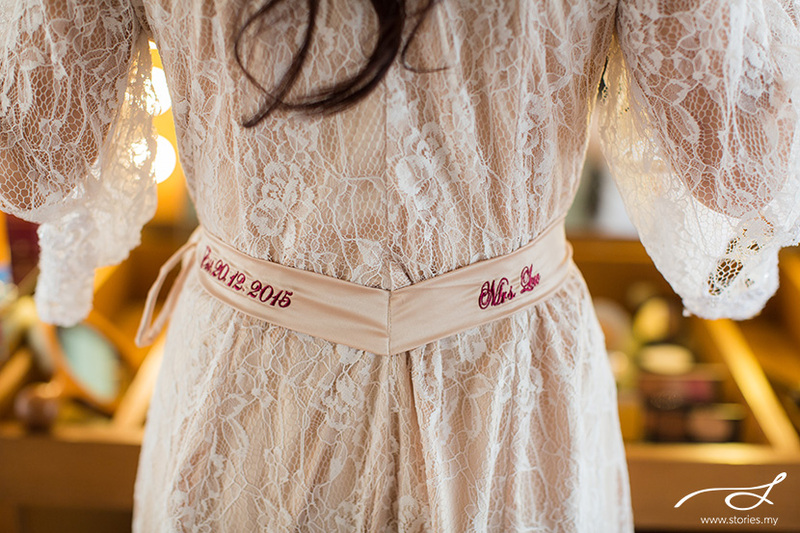 I loved how there were lots of personalised touches to the wedding, like how Jeremy’s father officiated the wedding ceremony itself, all the DIY decor and flowers and the bride’s gown that included lace from her mother’s wedding dress. We enjoyed ourselves tremendously at their wedding! We wish you years of adventure as you put God first in your marriage! Do watch their wedding slideshow for more photos and to hear Melissa’s beautiful voice as she sings her vows. I (Jeremy) first met Mel on a trip to Penang in 2008. She was the choir master of the carolling team and my first impression (in my defence, she was in work clothes) was that she was this older lady because she was so capable and talented. The next day, I wound up sitting next to her at breakfast and telling bad jokes and puns. I have no recollection of her next to me but she’ll tell you that she was wondering who this scrawny noisy boy was. We properly met in university in 2009 when she came down from Penang to do her degree and we were group mates (and became good friends) for 3.5 whole years! We were dating other people at the time and Mel thought I was immature. I obviously thought differently. We saw each other (along with 3 other friends who are our groomsmen and bridesmaids respectively) through ups and downs, tough time and happy times, we celebrated and we cried, we worked together in various committees and on various projects and assignments. Fast forward to 2014, we were both single and I was interested in Mel. We had stayed good friends after graduation and so I decided to tell her I was interested in her. I did, and she rejected me. Boo. But we decided to remain friends and continued spending time together until one day.. I’ll let her tell this part.. I (Melissa) always thought of Jeremy as a really great friend. In fact, he was my first friend in university! A mutual friend had introduced us and tasked Jeremy with looking out for me and getting me settled into uni. As time went on in uni, we worked well together but I’d always found him rather overprotective and annoying. Having said that, we did have lots of fun together but mostly in a group context. Fast forward to 2014, we were both working in the university itself. We started spending more time together doing projects, mostly helping other people with whatever was needed. We did some music gigs with friends, and photography gigs together. Later in the year, I did my honours year in uni, and needed help with stats. Guess who came to the rescue! The first time he told me he was interested in me, it wasn’t a surprise. Many people had forewarned me, but I was totally uninterested. Partly because I didn’t want to spoil the relationship we already had, and partly because I felt our personalities were too different (he’s way too emotional) and there was no way we’d get through a romantic relationship because it would be too hard to sort out those differences (for me). And so, I did! But how to tell him? To be honest, in the last 2 months, we’d actually been growing closer as well – he acted very differently after expressing interest the first time. It was as if he’d let go of trying to impress me and he really started being himself more. I enjoyed that. To cut the long story short I sneakily made him take me out for dinner, and told him we needed to talk about “the future”. I thought he’d gotten the hint! But trust me, boys often DO NOT get the hint. He took me to a fancy restaurant, dressed up all nice for that, even made a song request for me (that the pianist never played), and we talked about all our plans…. but NEVER got to talking about US! When we reached the car after a lovely evening, he offered me his hand and I held it back.. thinking it was time to talk about us! Still nothing. “THIS!” I said, holding his hand up and shaking it in his face. And the rest as they love to say, is history. We gave each other a month to “try” what being in a romantic relationship would be like for us. It was strange, but comfortable. The long time we had together as group mates, friends, committee leaders etc. was very good in providing us situations (often stressful) to really get to know one another and learn how to work with each other, and thus being in a relationship was just like another day in the life of Mel and Jem (what I call Jeremy). All this has led us to today; we’ve been dating since 20 Nov 2014, and he asked me to marry him on his birthday, 8 May 2016. We’re getting registered on my birthday, 21 Dec 2017! No excuses for forgetting celebrations! While we do have our ups and downs, I think over the years we have learned to communicate better, fight better and are continually improving on working together as a team. He’s my favourite partner, the person I would always pick first to be on my team as I can see that together, we accomplish so much more. We’re so thankful for all that God has done in our lives and can’t wait to see what’s in store! 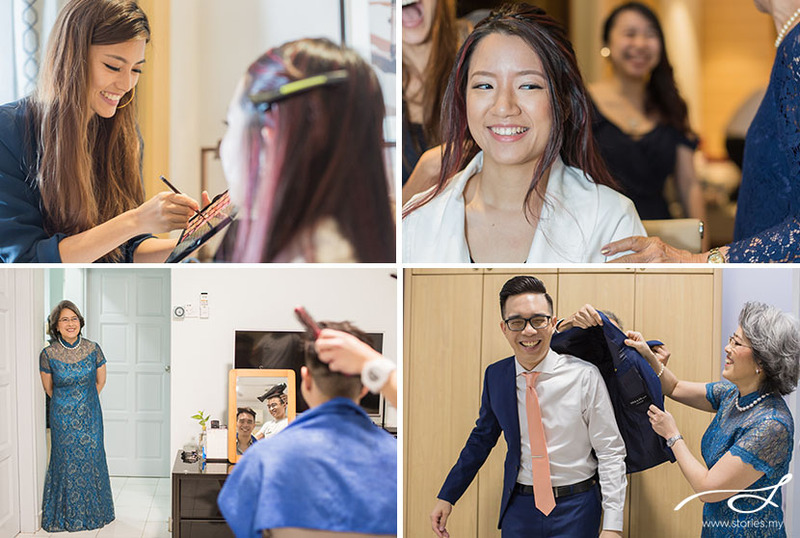 Last year, we had the privilege of photographing many amazing couples – many of whom have ended up as friends. 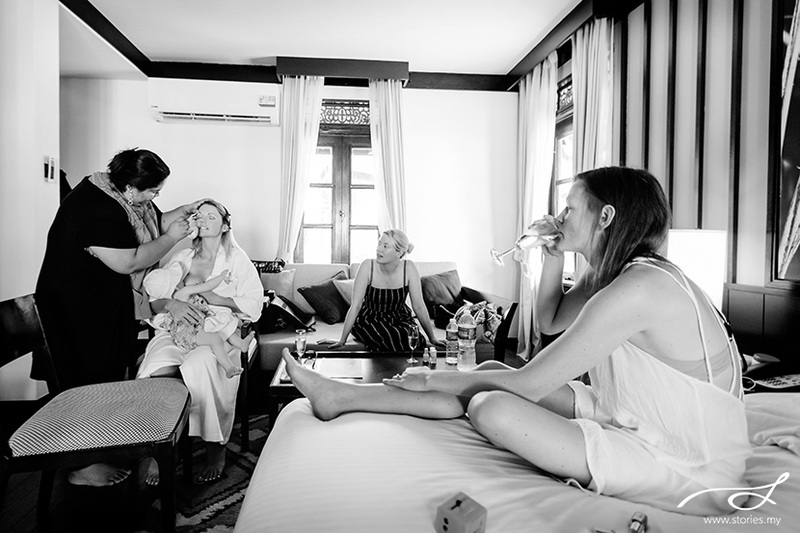 One of the greatest satisfactions we get as a photographer is being that connection – we help people connect with their emotions as they recall their joyous wedding occasion. 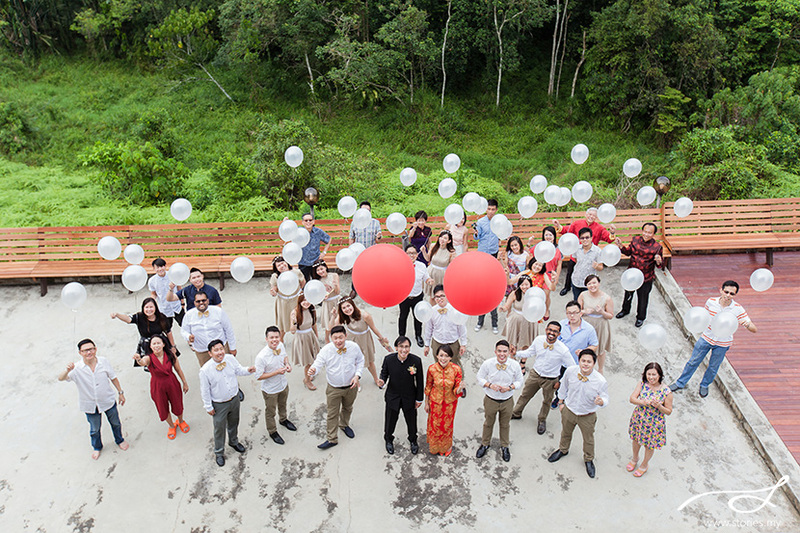 So much love is present at all the weddings we have photographed – last year, we photographed all sorts of cultural weddings – from the traditional Chinese wedding to a modern beach wedding and even two middle eastern weddings. Personally, today, I celebrate 10 years of marriage to my husband Alex Lam, who have been such an amazing pillar of support. It’s hard work to make a marriage flourish, but I thank God who helped nudge me in the right direction when I needed to change an attitude or swallow my pride at times. You can be in love with someone even more than the day you say your vows! 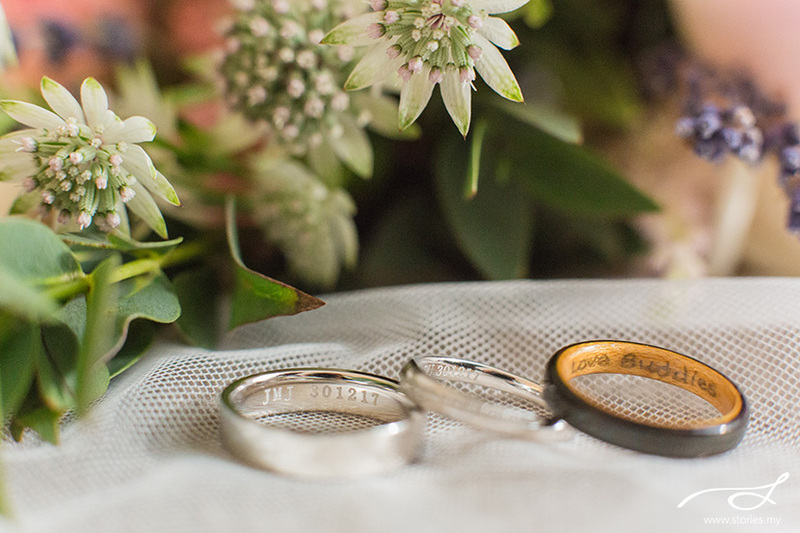 As you listen to the vows of all our clients, may you be touched and reminded that love is the greatest emotion of all. Ever since we clicked during Samantha and Eu Jin’s pre-wedding shoot at UPM, we have been friends with this amazing couple. Always so friendly, taking care of us by making sure we ate the yummiest Ipoh food, and thinking of us even on the day they should be thinking of themselves only! Even their family members treated us just like family. This is the best part of any wedding, we started off as strangers, but we leave like family. It gives me so much joy knowing that I did my best for this couple. Eu Jin and Samantha had already said their vows at their church wedding in JB the weekend before, and this was the 2nd leg of the wedding. We love Eu Jin’s family home that overlooks a hill… it made us feel as if we were lost in some resort! Their wedding started off on time, but due to some delays, somehow ended really late around 4pm. It was tough for us to create the same day slideshow before the evening reception started, and so we did something unique we had never done before – create an entire slideshow in Black and White! Have a look at our super-duper express slideshow below. Richard and Melissa’s story is one filled with God moments, revealing His goodness in their lives. 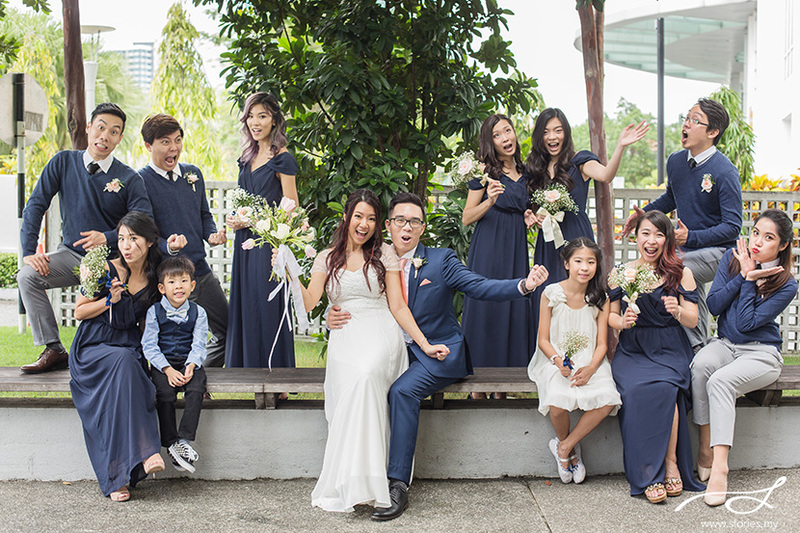 Before 2015, Richard & Melissa’s lives were worlds apart; to be exact 767 km apart! Richard was working in Indonesia managing a plantation company in South Sumatra. While Melissa’s world revolved around the newsroom as a journalist and news anchor in Malaysia. The likelihood of their paths crossing was almost zero. However, 1st January 2015 was a turning point for both Richard & Melissa. Their mutual friend Charles Mohan was led to arrange a coffee session for them. He had a hunch that they would grow beyond acquaintances and eventually their interactions would develop into something special. At the point when both of them met, Richard was ready to date again after coming to terms with the death of his late wife who battled with cancer. While Ryan, his three year old bounced back to his usual cheerful self. God’s timing is perfect and led them to meet in a season when both of their hearts were ready. For Melissa, she had ‘almost’ given up on meeting potential partners, somehow never finding the person who was the right ‘fit’. 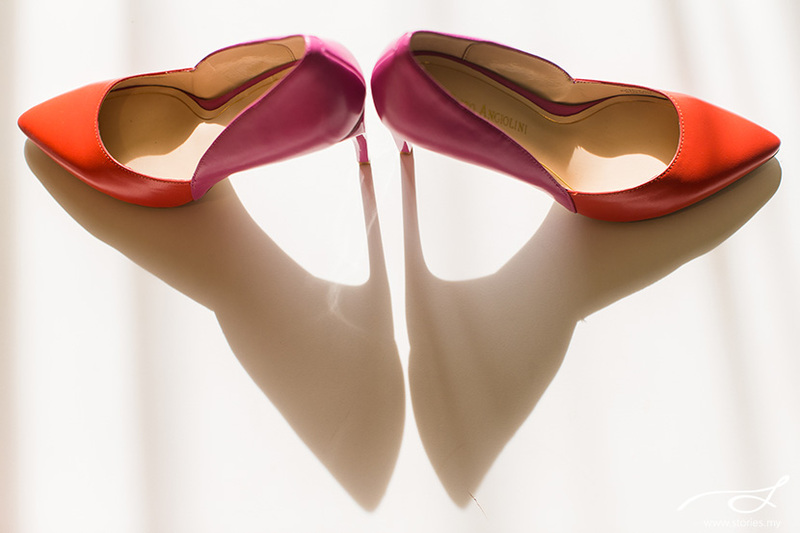 But in her heart, she longed to meet someone whom she could spend the rest of her life with. Little did they know, Charles had gone to church that morning and asked his priest to pray for his two friends whom he was bringing together to meet that afternoon. And yes, Charles was absolutely right! The supposedly ‘just a short coffee session’ at Dome Café, Bangsar Shopping Centre turned out to be a 9 hour long conversation that only ended because the mall was closing. The time spent was interesting & heartfelt—and of course; leaving a tug on their heartstrings. Richard & Melissa got to know each other over the next few days before he left for Indonesia, and Melissa for a mission trip. The time spent together was short but God was speaking to the core of their hearts. The Lord had also sent individuals at the right place & time to speak to them about being open to explore this potential relationship. The rest, as they say is history, or rather His-tory! Throughout their growing relationship, the Lord’s blessings, favor and intervention in their relationship has been obvious and deliberate. Both their prayers were answered. God met them at their place of need and helped them discover each other. It was the perfect fit. 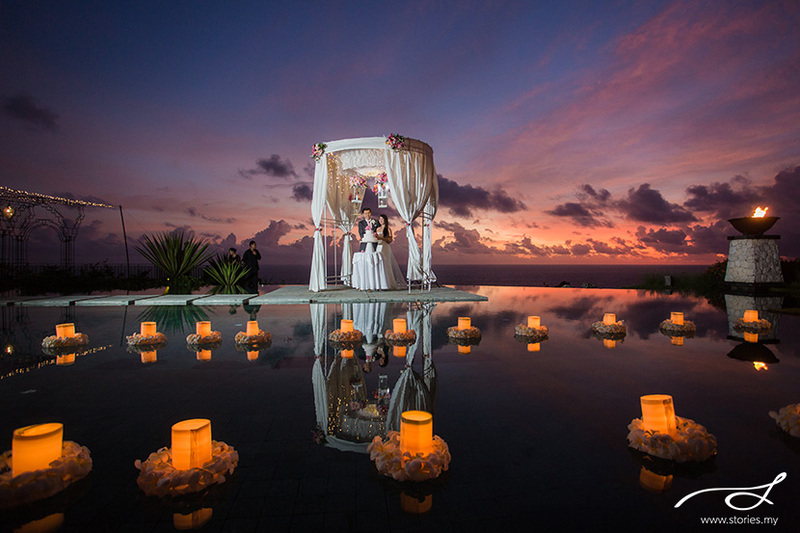 View their wedding ceremony photos in the slideshow below, taken at Tirtha Uluwatu and Tirtha Luhur, Bali. Congratulations, Richard and Melissa!